For the big jobs, take your vehicle to Cars Trucks & Vans! Our expert services are ideal whether you have a late model import or newer domestic vehicle. And because we guarantee the work we perform, you can rest assured you are receiving the highest quality engine overhaul and replacement services in the Davenport, IA 52806 area. Give Your Vehicle a New Lease on Life with JASPER. That big oil slick in your driveway or those strange noises from under your hood don't have to mean you'll be saddled with a new car payment soon. 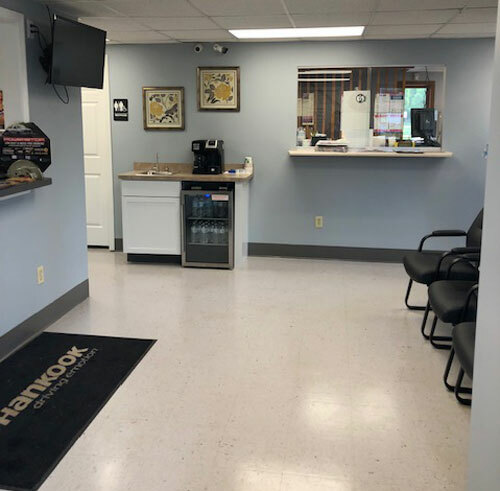 Instead, your trusted installer at Cars Trucks & Vans can drop in a completely remanufactured JASPER gas or diesel engine, transmission or differential and get you back on the road again quickly! Call Cars Trucks & Vans at 563-386-0030 to schedule an appointment. Proudly remanufactured in the U.S.A.
A cylinder block is the powerhouse for the motor vehicle. The solid cast car part houses the cylinders and their components (gaskets, valves, and seals) inside a lubricated and cooled crankcase. Since it is one of the most important parts of your car, the block is designed to be extremely strong and sturdy. Although strong and sturdy, the block is susceptible to failure resulting in a vehicle that won't start. Cracked blocks, porous blocks, core plug, or freeze plug failure are some of the problems facing cylinder blocks. Call 563-386-0030 to talk to the mechanics of Cars Trucks & Vans about your cylinder block problems. A cylinder head is the closed end of a cylinder (located in a car's engine block). It sits above the cylinder block, closing the top of the cylinder and forming the combustion chamber. The cylinder head coordinates airflow in and out of the engine. Since the cylinder head's chief function is to seal the cylinders properly, insufficient compression results in the car being difficult to drive. To have your cylinder head checked and repaired, talk to Cars Trucks & Vans's cylinder head repair and reconditioning specialists today. Any car part manufacturer will tell you that preventive maintenance is critical to the part's lifespan. Like other auto parts, car engines aren't built to last forever. However, you can increase the engine's lifespan by performing regular preventive maintenance. The easiest way to maintain peak performance and fuel economy is to provide regular engine maintenance for your vehicle. To have your engine maintained by experts, visit Cars Trucks & Vans. When your vehicle shows any sign of trouble, bring it to Cars Trucks & Vans for full-service engine repair in Davenport, IA. From diagnostic check engine light repair to precision engine part repair, our expert auto mechanics are ready to help you. The engine converts energy into useful mechanical motion. This amazing machine is what keeps your vehicle moving. Although generally reliable, a car engine is susceptible to damage and breakdown. When this happens, do not sit and stress over it. Take action. Take the vehicle to a mechanic for an engine replacement. Bring it to Cars Trucks & Vans. Visit us at 3201 Hickory Grove Road for quality engine replacement services. A timing belt is a part of your car's internal combustion engine. The belt synchronizes the camshaft and the crankshaft rotation so that the engine valves open and close at the correct timings. Also, the belt prevents the piston from striking the valves in an interference engine. A timing Belt is a rubber belt that usually features teeth on the inside surface, while a timing chain is a metal roller chain. Most cars we drive now have timing belts instead of timing chains and gears. Although different manufacturers have their recommended mileage, you need to have your car's timing belt checked regularly. To have it checked by experts, contact Cars Trucks & Vans today. Although most manufacturers recommend a transmission flush every 30,000 miles or every two years, some symptoms may indicate that you need a transmission flush sooner. Some of the symptoms that indicate that your car needs a transmission flush sooner are: transmission grinding or strange noises, problems shifting gears, slipping gears, surging of the car, and delay in vehicle movement. Flushing the used fluid from the transmission washes away tiny particles of dirt, clutch material, and metal shavings. For all your transmission flush needs, call 563-386-0030 or visit Cars Trucks & Vans today - we are transmission experts. Any car part manufacturer will tell you that preventive maintenance is critical to the part's lifespan. Like other auto parts, car transmissions aren't built to last forever. However, you can increase the transmission's lifespan by performing regular preventive maintenance. The easiest way to maintain peak performance and fuel economy is to provide regular transmission maintenance for your vehicle. To have your transmission maintained by experts, visit Cars Trucks & Vans. Our services include transmission repair on both manual and automatic transmissions. The first step in getting you back on the road is assessing your transmission to accurately determine the source of the problem. In some cases, we are able to repair your transmission simply with adjustments, replacing external seals, or replacing accessible parts. To have this done by specialists, call 563-386-0030 to talk to the mechanics of Cars Trucks & Vans today. When it comes to automatic transmission repair, there are several options: buying a new one, buying a remanufactured one or having yours rebuilt. Each of the above options has its own share of advantages and disadvantages. Of the three options, rebuilt transmissions are the most economical. A rebuilt transmission involves removing the transmission from the car, disassembling it, replacing worn out parts, reassembling it, and then reinstalling it. To have this done by specialists, call 563-386-0030 to talk to the mechanics of Cars Trucks & Vans today. In motor vehicles, the transmission usually refers to the gear box, which uses gears and gear trains to transmit speed and torque from a rotating power source to another device. You can have your car's transmission replaced with a new, rebuilt, remanufactured, repaired or used transmission. 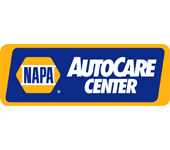 For more information contact Cars Trucks & Vans in Davenport, IA. Our experienced service technicians can help you make the best decision for your vehicle and your wallet.